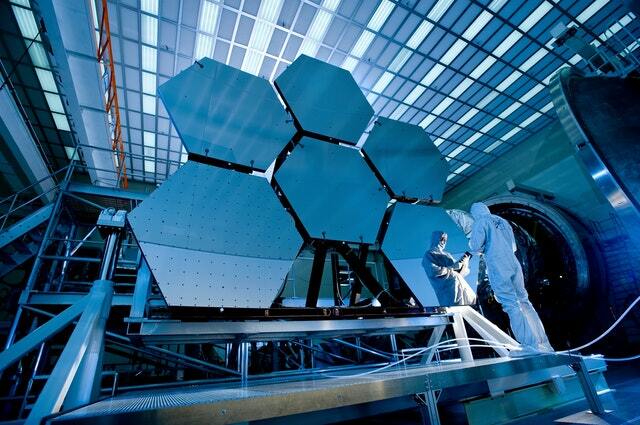 Designing a new laboratory is a major undertaking. It takes a while to get the ball rolling on the project in the first place, and then you have to contend with the budget. From there, you have to find someone who can handle your project, and build you the lab you want. If you don’t have a great, honest laboratory professional working with you on every step of the design process, it’s tough to know that you’re going to get the lab you need and are paying for. So how can you tell if your lab designer is working for you or against you? This is the number one red flag for any business partnership. If you’ve contacted them with a question, with an idea for your lab, or even just to see where your project is and they haven’t responded, that’s an issue. You’re putting a lot of money into this project, and more than that, you need this lab for your company to succeed. A good lab designer recognizes that, understands the importance of your lab, and values communication over all else. If you haven’t heard from your lab designer in a few weeks and you were supposed to, it might be time to start looking elsewhere. A good lab designer will be upfront with a quote for your lab. If you’ve been clear with what you need, and when you need it, it should be fairly simple for a designer to turn around a quote to you in a week or two. Granted, it can be difficult to set an exact price until they get to the installation phase, but most good laboratory professionals can give a fairly accurate estimate. If the lab designer you’re currently working with hasn’t given you a quote, or won’t give you some sort of ballpark number, that’s not a good sign. If you keep receiving plans to a lab that don’t fit your specifications, your lab designer probably needs to go. Their number one job is to create a lab design that fits the space you’re working with, as well as your application. If they’re not doing that, they’re not doing their job. If the designs you’re receiving don’t fit the number of employees you’ll have in the lab, don’t fit your application, or have any other glaring errors, it’s possible that your current lab designer isn’t putting in the time necessary to build you the lab you need. Each lab is different in some way. 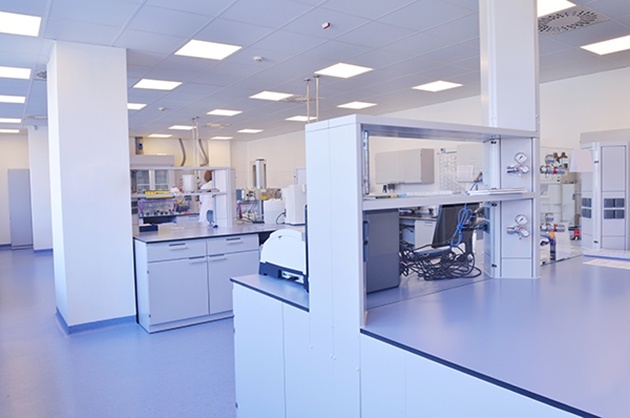 Whether it’s application, space, location, or storage requirements, every laboratory has some quality that makes it a bit different from most other labs out there. And sometimes that means you need custom or at least special design options. For example, if you need casework that has 7 drawers instead of the standard 5, your lab designer should be able to work with you on that. A good lab designer puts the needs of their client above their own convenience and will do everything they can to ensure that your lab meets all of the requirements you’ve set, even when that means custom sizes. If your lab designer is reluctant to deviate from manufacturer standards, know that you have other options. When you commission a lab design, that means that you probably need a lab up and running as quickly as you can get it. Your business hinges on the productivity of your lab, and that means you need it installed soon. If you can, it’s a good idea to look for a lab designer who can guarantee a short lead time upfront. If you did that, but now your designer is saying it will take much longer, it might be time to start looking for someone new. Or, if you’ve just gotten to the lead time conversation, and it’s far longer than you expected, know that it’s okay to shop around with other designers, to see if anyone has a shorter lead time than who you’re currently working with. Above all, a good lab designer should be open, honest, communicative, and willing to work with your specifications. You are the one paying for the lab here, so you deserve someone who will partner with you to ensure you get the lab you need, in the timeframe you want. If you’re having trouble getting your current lab design going, or if you have questions about designing a new lab, give the experts at Multi-Lab a call! 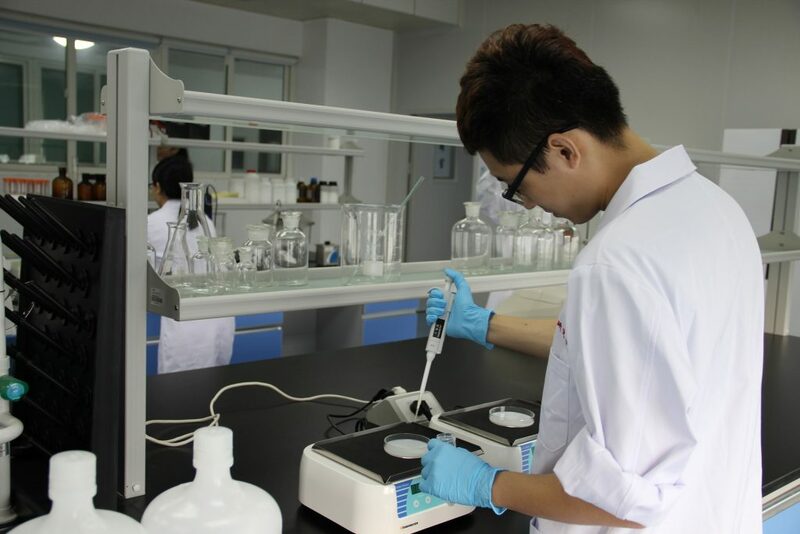 We install laboratories of all kinds and offer custom solutions to each of our clients. If you need help with your next lab project, call our office at 616-846-6990 today!